After touring some tourist sites in Abeokuta I make a final stopover at Ikenne, the hometown of chief Obafemi Awolowo, one of Nigeria’s most celebrated first generation politicians who died in May 1987, aged 78. The compound, expansive and quite, has a garden, which—by the look of it—gets regular attention. A few metres from the gates (and immediately to the right) is the mausoleum, marble-floored and sprinkled with artificial flowers, where the late politician was laid in a transparent glass coffin for a decade, the guide says, before he was eventually buried inches away. Opposite the mausoleum is the museum, which houses Awo’s surviving personal effects—academic gowns, diaries, footwear, toiletries, photos and lots more—and gives the tourist a fair knowledge of what manner of man the late lawyer was in his lifetime. And beside the museum rests the 8-seater grey Mercedes Benz Saloon car which, as the story goes, took chief Awolowo around Nigeria during his campaigns for the Presidency in 1979 and 1983. He lost out on both occasions. Awo’s name, like Kwame Nkrumah’s, rings a loud bell anywhere in Nigeria. It’s a master key of sorts and one today’s politicians (especially the ones from the western part of the country) like to preface their campaigns and manifestoes with. The reasoning is this: simply convince the electorate that you’re an avowed ‘Awoist’ and you almost certainly have one foot in the door of your political aspirations. For the potential voter who is old enough to have known the late sage in his active political days, Chief Awolowo is the personification of people-based, visionary leadership. As premier of Nigeria’s Old Western region, that wisdom pushed him to several landmark achievements, all of which remain benchmarks for politicians who have sought the electorates’ votes ever since. “I have never regarded myself as having a monopoly of wisdom,” Awo once said. “When most people in public life and in the position of leadership and rulership are spending whole days and nights carousing in clubs or in the company of shady characters…I, like few others, am always at my post working hard at the country’s problems, and trying to find solutions for them”. On the Saturday evening I visit the Awolowo’s home there is nobody around, except for the security staff and the guide. Awo’s widow, Chief Mrs Hannah Awolowo, well into her nineties, is taking a well-deserved rest, I am told. In his lifetime, Awo had said he owed his accomplishments to three things: “the grace of God, self discipline and a good wife”. To date, Mrs. Awolowo gets all the veneration her husband isn’t around to receive. With all that’s been preserved in the premises (an entire room in an adjoining library is dedicated to scores of albums of photographs from the past), Awo’s country home is one landmark yet to be declared a national monument by the federal authorities in Nigeria. Sadder still, it is one of the least publicised tourists assets in Ogun State (where it is situated), though the guide says that the complex receives quite a number of visitors daily. While looking round in the library, I open a file placed on a filing cabinet. Inside it lay copies of the very first issue of the Nigerian Tribune, an eight-page periodical that Awo published in 1949 (the paper is still in circulation). Its mission was to publish “constructive criticism, brilliant and militant articles; up-to-date news from all parts of the country”. It sold for one penny. In his maiden column, Awo berated the British colonial authority for always acting as if it had a monopoly of freedom, which it believed it could “dole out” to its colonies as it deemed necessary. “The government of our country derives its powers (just or unjust) not from our consent as the governed, but from the whims, caprices, and selfish desires of the self-imposed rulers”, he added. 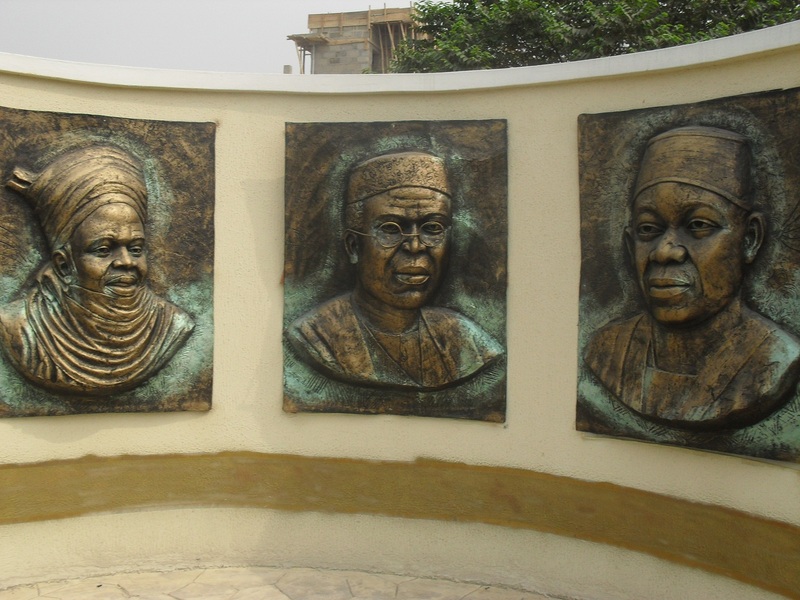 A decade later, Awolowo, Nnamdi Azikiwe, Ahmadu Bello, Tafawa Balewa, Anthony Enahoro and a few others keen on indigenous leadership, called for Nigeria’s independence, a dream realised a year later (1 October 1960).